Videos and Texts for the lectures held on May 12, 2017. On May 12th, 2017, an international symposium “Adventuring into STS” was held with Harry Collins, Knut Sørensen, John Law, Rosalind Williams and Shiv Visvanathan. Link for symposium programme. The presentations were streamed and recorded, and can be watched below (or the whole stream – including breaks – can be watched here). We apologize for the poor video quality, but the audio quality is generally good. We are working on improved video quality. Sophie Vanhoonacker (dean) & Harro van Lente (symposium chair): Welcome and Introduction. Watch online. Harry Collins: From SSK to Post-Truth: A personal reminiscence. Watch online. Knut Sørensen: Technology in use. Going beyond design and innovation. Watch online. John Law: Othering TEK: fish and science in Sápmi. Watch online. Rosalind Williams: STS as Romantic Quest. Watch online. Shiv Visvanathan: Reinventing Democracy. Watch online. 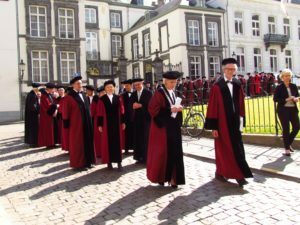 Wiebe E. Bijker read his valedictory lecture on May 12th, 2017 at the occasion of becoming emeritus professor at Maastricht University. 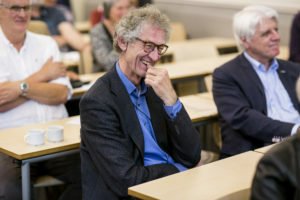 The valedictory lecture is published as: Wiebe E. Bijker, “Constructing Worlds: Reflections on Science, Technology and Democracy (and a Plea for Bold Modesty)”, Engaging Science, Technology, and Society 3 (2017), 315-331; DOI:10.17351/ests2017.170. Link to publication. 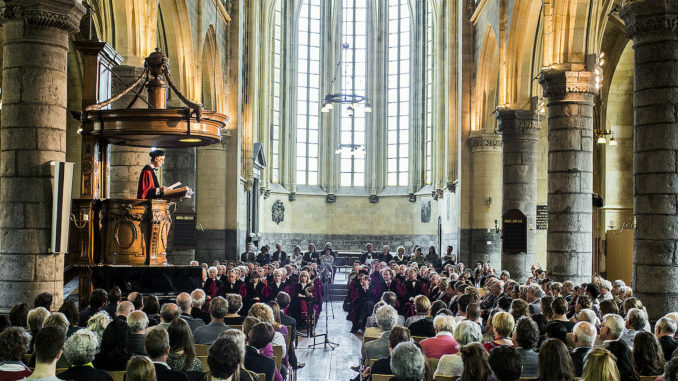 The valedictory lecture was read in abbreviated form. Link for abbreviated lecture. The book Wegwijs in STS—Knowing your way in STS is also available for download.